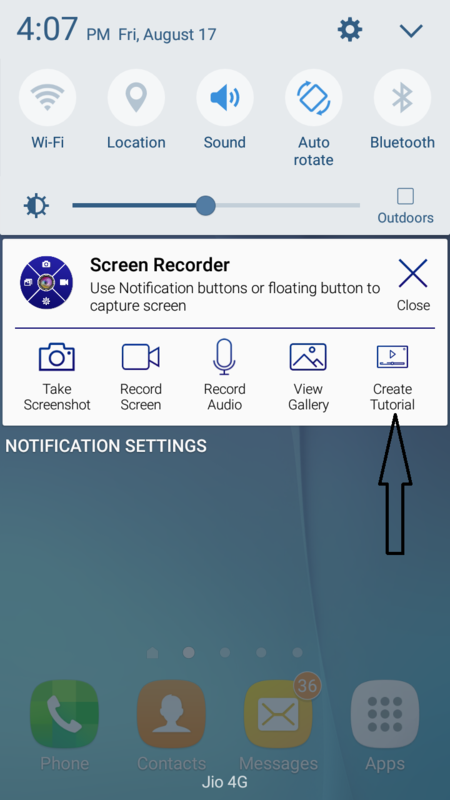 Go to notification center of Screen Recorder. 1. 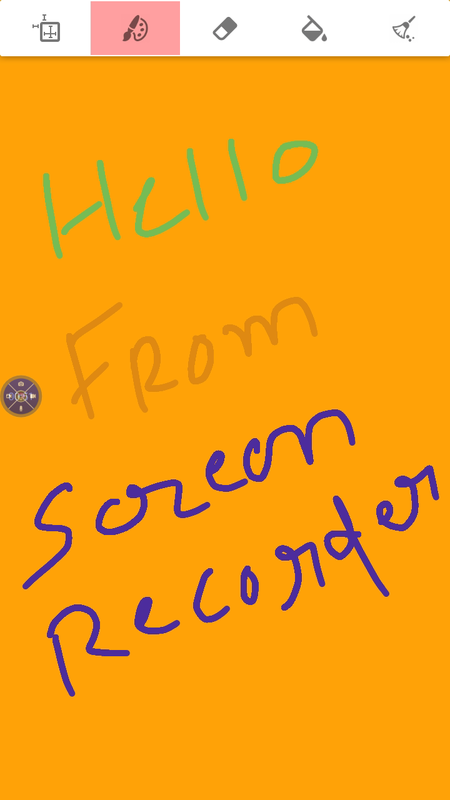 Click on create tutorial for recording with whiteboard screen. 2. Click on the pencil-shaped icon to draw text on screen. 3. Click on the paint-shaped icon to change screen colour. 4. Click on erase icon to erase the drawn text. 5. click on clear icon to clear the drawn text. 6. You can also resize text size and eraser size. 7. Watch the video tutorial below to know more.